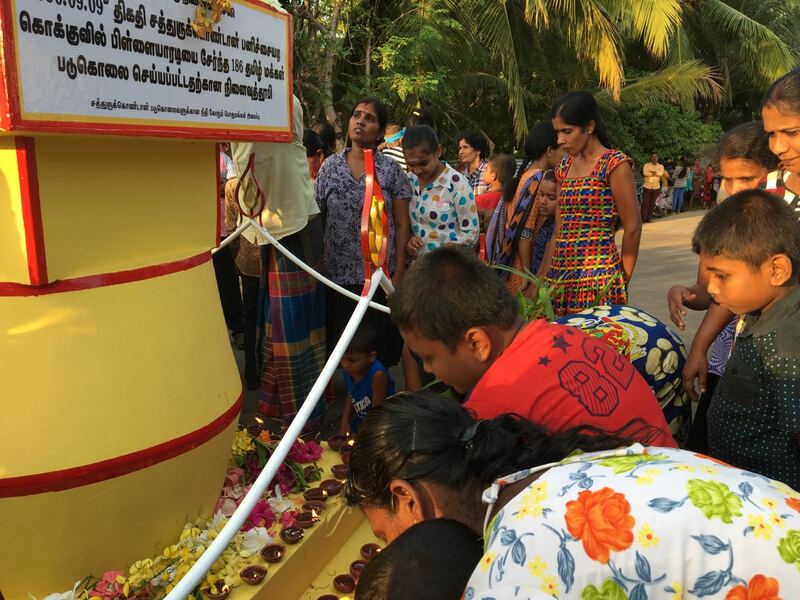 The slaughter of 185 Tamils by the Sri Lankan army with the assistance of the Muslim home guards in Sathurukondan, Batticaloa was remembered 28 years on at the memorial site in the village. Families of those massacred gathered to remember the horrific event. On September 9th 1990, Sri Lankan soldiers and Muslim Home Guards rounded up 186 Tamil men, women and children from Sathurukondan and surrounding villages. 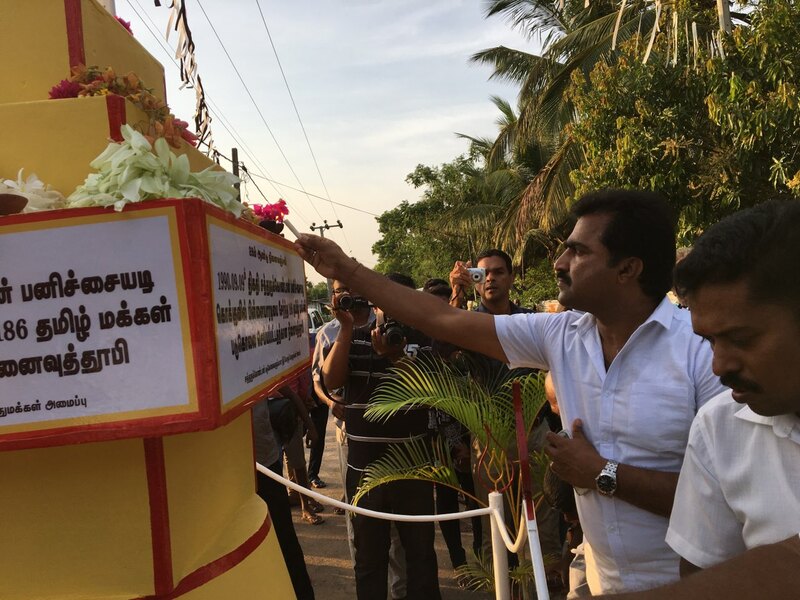 The Tamils were taken to a nearby army camp. 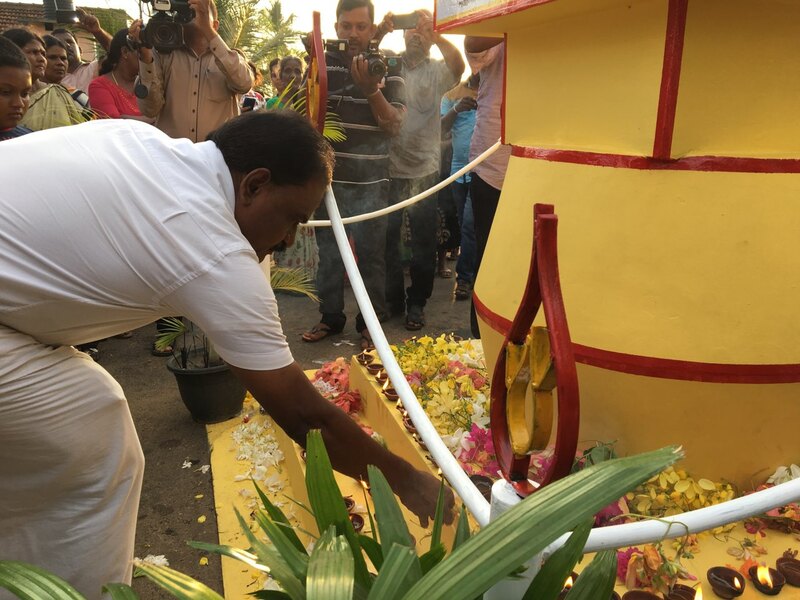 The one survivor, Kanthasamy Krishnakumar who managed to escape after being stabbed, described how all others were slaughtered with machetes, knives and blunt objects. "On this day at around five thirty in the evening Army men both in civil and military clothing came and told that the officer in charge of the Camp wanted us to come to the camp for enquiry and so they took us. Elderly, Women, children and even babies were taken to the Sathurukondan Army camp," Krishnakumar later testified. "After that, four of us were taken to the backside of the camp and blindfolded and our mouths were stuffed with cloth. Later they laid us on a wood brick and suddenly they started stabbing us with sharp knives. I laid there as if I was dead. I heard voices of agony and pain I can’t even describe, all around me." 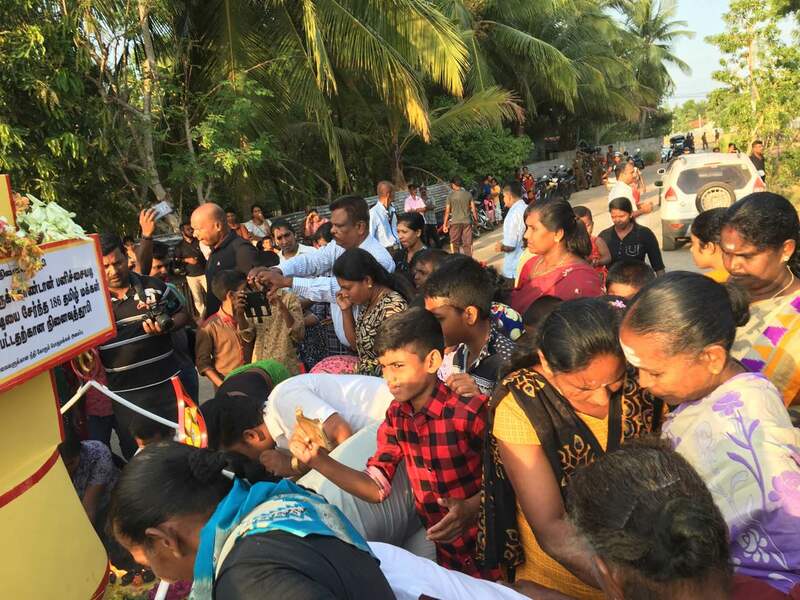 The massacre came just days after the Vantharumoolai round-up, from which 158 Tamils seeking refuge at the Eastern University campus were arrested by Sri Lankan soldiers and never seen again. The mass killings, which were carried out during the presidency of the UNP's Ranasinghe Premadasa, were investigated in a probe established by then-president Chandrika Kumaratunga in 1997. The probe identified three captains in the Sri Lankan army as being responsible for the killings. The retired judge who led the inquiry, K Palakidnar said that there was strong evidence for the massacre and urged Ms Kumaratunga to hold the perpetrators to account, however no action was taken by the government.